Newly appointed IAS Association president says most officers are engineers, CAs and doctors and have technical knowledge. New Delhi: The IAS Association will soon make a pitch to the government for qualification-based appointments in ministries and departments, a move seen as an attempt to counter the view that most IAS officers lack domain expertise to work in a rapidly-changing and technology-driven world. “We will take up this matter with the government, and tell them this allegation (of lack of domain expertise) is often made at us, so they should see if it is possible to post officers according to their technical expertise,” Rakesh Srivastava, the newly-appointed president of the association, told ThePrint in an exclusive interview. Srivastava, currently secretary of the women and child development ministry, said the association has not taken an official stand on the issue of lateral entry of domain experts into various ministries, but it is aware of the criticism that most bureaucrats are “generalists”. “It is wrong to assume that IAS officers are not technically qualified. 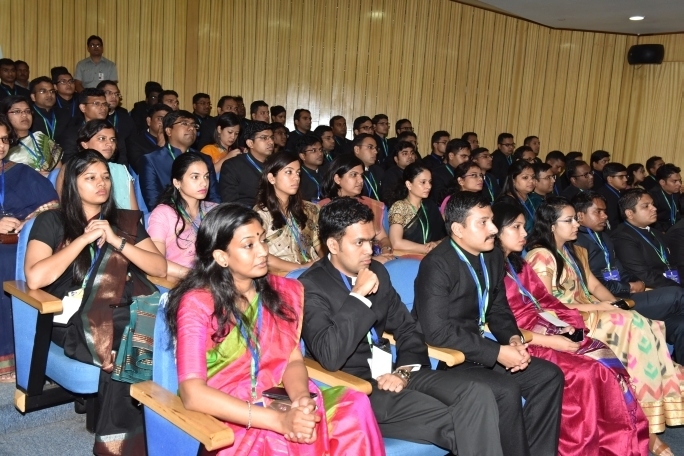 Majority of IAS officers are engineers, CAs, doctors, etc,” he said. However, in order to dispel the impression, the association will discuss whether the transfer and appointment policy of officers can be tweaked, he said. Srivastava, a 1981 batch officer of Rajasthan cadre, was appointed the president of the association last Friday in a general body meeting (GBM). The members of the association present at the GBM also discussed other issues such as how the association should intervene in situations where an IAS officer is accused of misdemeanour. “We decided that we will appoint an ombudsman — a senior retired officer of impeccable integrity — and seek his opinion over the issue…On the basis of the ombudsman’s advice, we can decide whether or not to support the officer in question,” said Srivastava. He also welcomed the new amendments to the Prevention of Corruption Act, which will protect honest officers from investigating agencies — a long standing demand of bureaucrats. “We wholeheartedly welcome the move because at least now malicious intent of the officer has to be proved,” he said. “In addition, innocent officers will not be punished simply if pecuniary loss is incurred by the government because of a wrong decision taken inadvertently,” he said. Asked if he thinks IAS officers should be free to express their points of view on important issues and criticise the government if need be, Srivastava argued that they must do so within the precincts set by the Service Conduct Rules applicable to them. “Conduct Rules bind IAS officers so long as they are in service…so the association feels they must follow the rules,” he said. However, the officers are free to discuss matters with the association, and the association can follow up, he added. Recently, Jammu and Kashmir-cadre IAS officer Shah Faesal had stirred up a hornet’s nest by calling the Service Conduct Rules “draconian”. “If the rules are considered draconian, we can talk about them…If the government could amend an Act (Prevention of Corruption Act), why can rules not be amended?” Srivastava asked. If they are feeling so offended with the Generalist tag, then they shouldn’t have opted for IAS . Government of India should bring more experts to different Ministries by lateral entry, 15 is not enough. In the past also telecom expert has become Telecom , Secretary, Educationist has become Education Secretary, financial wizards have come Finance Secretary. Rather the present PM Modi is conservative in this regard. is what makes all the difference. Sadly, the young officers are soon forced to trade idealism with arrogance, incompetence and corruption. So much so, by the time they’re into their 30s’, they become members of the Indian Arrogant Service, far removed from the common man. The imperialists needed such glorified clerks. Democratic India doesn’t. Disband the darn service. Earlier the better. We’ve a stronger “steel frame” to run the country — our constitution, however imperfect it maybe. I feel that our respected PM has taken a bold step and rightly understood the problem which none did before.The lateral induction is a bold move. What needs to be done is getting more engineers and experts into the joint secretary level post through lateral induction. Merely 10 seats will not suffice. The next step is 50 experts inducted.Then see the effect it has.In fact the Govt should induct officers from other central org through deputation as much as possible. Deputation gives you both benefit of expertise and experience in the related field.Its a great move by our PM and the vacancies need to increase main fold immediately. You people who are calling themselves specialist are the best example of brain drain as well as they are the drains where nation’s money and energy.you are the murder of the promising talents of country by grabbing the seat in IIT,IIM,AIIMS and other technical institutions of the country to become a generalist standing with a common graduate to compete and become A Civil servant .This iron mantle as thought by Sardar Patel has become too rusted to clean up but to break this edifice. Just having qualifications do not make some one an expert. One has to learn lot of things from experience. A Civil engineer can not become an expert in town planning. In almost all the smart city project, the CEOs are IAS. Then one can very well imagine the fate and outcome of the smart city project. If they were so anxious to work on the basis of their qualifications, they should have gone to that respective field. Such professionals by entering in to these services have eaten the seats of other genuine who were committed to service to humanity etc..Doctorss or engineers or specialists in field are required to be prohibited entry and the purpose of making doctors etc fails when they don’t go for their profession and country faces shortage. In reality, they come to services because of glamour as they know that they can earn more in this way. Tag of service is having something different underneath. You do deserve generalist tag as long as you keep yourself obsessed with narcissist like syndrome without a friendly approach with the people sorrounding you. An engineer evolves with ages through active participation in the field for putting in his thoughts into practice and then aquire wisdom of considerable magnitude. You became penpusher with hardly much contribution in the present day of fast changing world demanding domain expertise. Leave your sobjanta attitude and learn from people first. Not only generalists, they “generally” don’t have the sense of belonging for any organisation they work with because they have so many future achievements in sight. Those who have, leave a print. Others simply leave. So how does an MBBS supposed to run water management programme.First a seat of MBBS which cd have been used by another student to become doctor is wasted by a MBBS going into administrative services.Wastage of govt resources.How much money govt spends in making a doctor? ?.Best thing wd be to disband IAS.Keep a technocrat specialist for corresponding departments and keep managers for implementation.How does the MBBS knowledge help in running agriculture department.Would an MBBS IAS have more knowledge or wd a chief medical officer have more knowledge. The association must see that their integrity is not compromised when confronting with politicians as it happened in Delhi. All of us know they became subservient to centre when centre and Delhi states are under conflict. Unfortunately, quite number of officers are fully corrupt, exploiting weaker section. Misutilisation of government funds. not interested to develop their assigned area. Educating politicians to be more corrupt, how to loot government funds, enhance their wealth. Jharkhand is the worest polluted corrupt state. No roads, no education, no medical, no public transport from a remote village to nearest town. Latest news Chaibasa senior IAS officer has been proved dishonest, most corrupt, a lot of property acquired at various places in the name of his wife. Hats off, fine tuned Taliban culture. Ever seen a leech? If not, just see an IAS officer. Any administrator has to a be generalist.Even technocrats in government services like myself are essentially generalists.If anybody wants to at the helm and hub of an organisation has to know something about everything and everything about something. It’s the same for politicians and entrepreneurs as well. So it is nothing wrong that the IAS are generalists with specialist backgrounds. If the technically qualified IAS officers were compitent enough in their own professions, they would have never opted for admisstrative jobs. The view point has no place in the present setup. Officers should not feel bad to carry “generalist” tag. That indicates the clear approach. A subject specialist gets bogged down by his limited understanding of the subject. Experts are available to offer the required input. Hence, seeking qualification basis for posting is not good. Most of them are proffessionals but they opt for arts and humanities subjects to qualify for IAS! isn’t it true? This is well thinking plan on newly IAS candidate and government must consider such innovative solutions for improvement of governance and benefits of the common people problems from the routine governance.